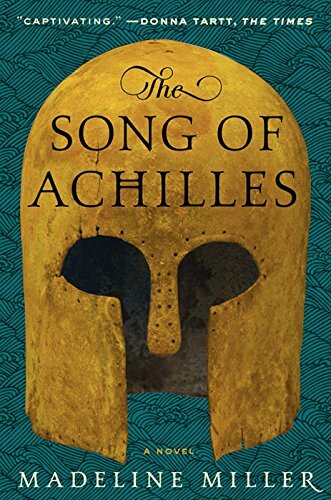 “Mary Renault lives again!” declares Emma Donoghue, author of Room, referring to The Song of Achilles, Madeline Miller’s thrilling, profoundly moving, and utterly unique retelling of the legend of Achilles and the Trojan War. A tale of gods, kings, immortal fame, and the human heart, The Song of Achilles is a dazzling literary feat that brilliantly reimagines Homer’s enduring masterwork, The Iliad. An action-packed adventure, an epic love story, a marvelously conceived and executed page-turner, Miller’s monumental debut novel has already earned resounding acclaim from some of contemporary fiction’s brightest lights—and fans of Mary Renault, Bernard Cornwell, Steven Pressfield, and Colleen McCullough’s Masters of Rome series will delight in this unforgettable journey back to ancient Greece in the Age of Heroes. lolshutterbug (Grade: A+) This book made me sob. We all know the infamous story of Achilles. But what's less known is that of his companion Patroclos. History has accepted him as the cousin of the great war hero. This book takes a different angle on their relationship; one where they are lovers. I couldn't put this book down. Written from the point of view of Patroclos, anyone who's been in love can identify with his love and longing for Achilles. RemusLupin (Grade: A+) The pacing and character development were beautifully done, and I couldn't help but cry at the ending we all knew was coming. What a clever, heartbreaking, addictive take on Greek mythology. way2benitski (Grade: A+) It is clear that a lot of creativity and research of Ancient Greece/Mythology went into this book. At its roots its a great story of friendship turned to love. I wanted to keep reading to the (not so surprising) end. bennettgavrish (Grade: B) Miller lets mythological canon drive the plot of this novel, but her emphasis is on motives and emotions rather than gods and wars. It makes the story incredibly accessible (and somehow very modern) while giving her flexibility to craft the main characters into actors with real agency. Certain elements are clumsy (like the way time passes in the novel) and although Miller's writing style is effective and true to her subject material, it's so restrained that it can almost feel lethargic. poeticlibrarian (Grade: B) I didn't want to like this book - retellings of greek "myths" are usually disappointing, and I was worried that the author would be overly maudlin or sentimental with the love story at the center of this retelling. But I did like it. I thought that it stayed very true to the type of storytelling needed and added depth to the original story.